Melamine finishes provide some of the most extensive and varied finishes available form wood based panel products. The paper used for the melamine face can be textured and printed to mimic real wood veneers or coloured to match a range of different RAL codes, no matter how vivid. In addition to this, the MDF core means the product is easily machinable and consistent throughout in its manufacture. 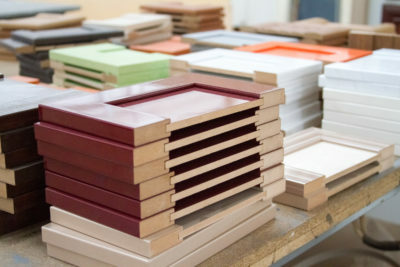 Hanson Plywood have Melamine Faced MDF in the sizes and finishes below in stock, but can source almost any desired finish from our network of specialist suppliers. Please enquire with our sales team for more information. BS EN 316 – Wood Fibre Boards: Definitions, classifications and symbols. Hanson Plywood sources its collection of Melamine Faced MDF Panels from FSC® & PEFC™ Certified forest concessions. The company’s robust Chain of Custody management system ensures that these certifications are respected and adhered to throughout the supply chain.